In more developed markets, the iPhone spurred consumers to make far greater use of lucrative data services when it was launched four years ago, thanks to its well-supplied App Store of games and other applications. In China, only one carrier provides the iPhone so far. China Unicom is the only official iPhone partner in the Chinese market. The nation’s other two major carriers, China Mobile and China Telecom, are allegedly in talks with Apple to offer the iPhone as early as next year. China Mobile has previously said it had met several times with Steve Jobs to discuss introducing an iPhone based on its own home-grown network standard (we knew that China Mobile has met Tim Cook instead). Previously, there was an iPhone 4 prototype caught running on China Mobile Network and the company is already developing its next-generation TD-LTE mobile network technology. It makes sense for Apple to introduce a LTE-compatible iPhone next year, and a launch under China Mobile would undoubtedly result in landmark sales. So at the meantime, those 10 Million Chinese iPhone user just have to stuck at the speeds just above dialup. We know there is Wi-Fi, but a smartphone should be doing mobile internet in anytime, anywhere. 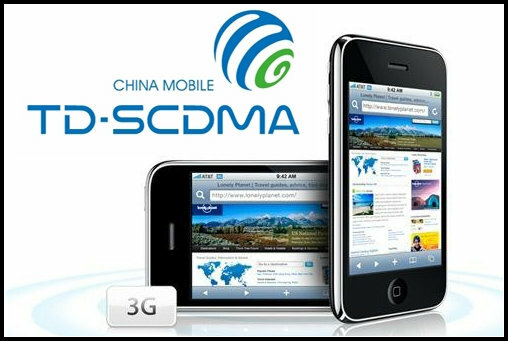 TD-SCDMA is the standard 3G mobile telecommunication in China and it will be able to escape the payment of license fees to western patent holders.